Happy birthday to Kyrie Irving, who turns 26 today and hasn’t played since March 11. Let’s open up that leg. 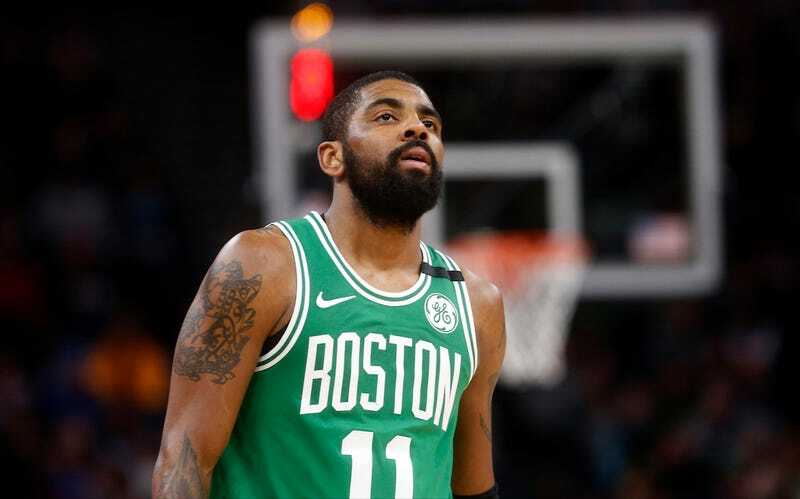 The Celtics’ all-star, who has been dealing with soreness in his left knee, is scheduled to have a “minimally invasive” procedure tomorrow. As if that language is more reassuring. Those doctors are still going to have to open him up! This is just one more item in a crummy month for the team. German big man Daniel Theis is done for the season with a torn meniscus, Marcus Smart had to have surgery on his thumb and won’t be back until the playoffs, and now this. Also, Gordon Hayward is currently reduced to wrangling his kid while playing video games, but the Celtics worked around his absence this year, at least. Boston has already clinched a playoff berth, but the team will be on a four-game road trip starting tonight, and hope to back into a favorable seed despite a less woke lineup.